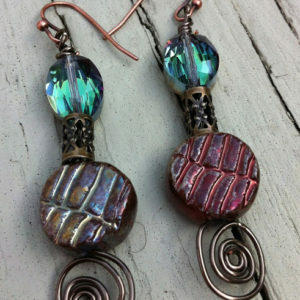 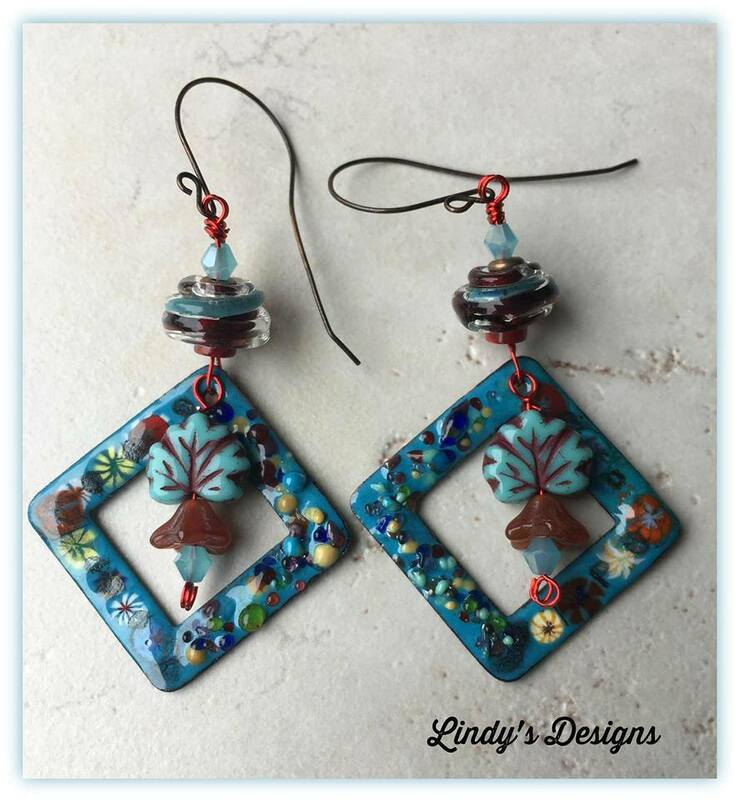 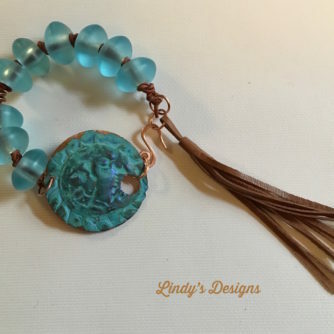 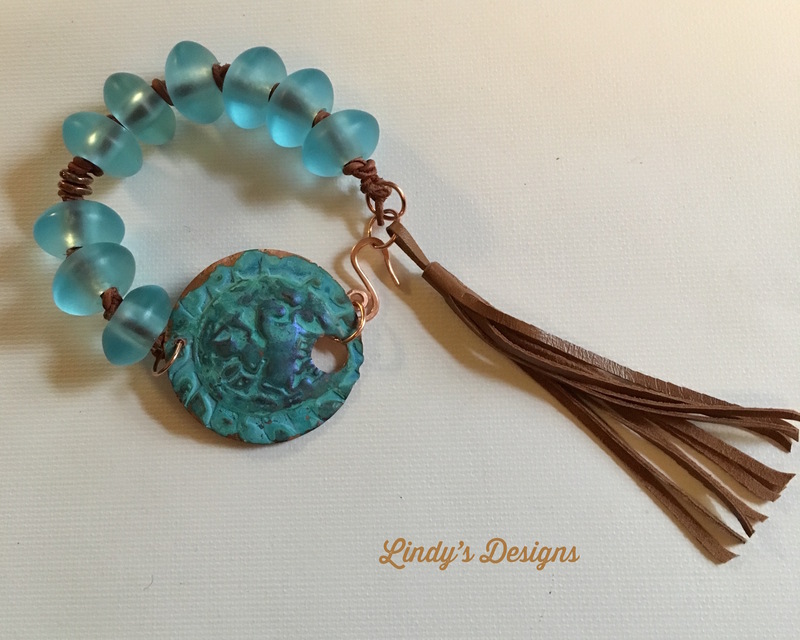 All designs are original from Lindy’s Designs. 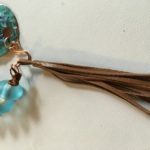 Items comes gift boxed ready for gift giving. 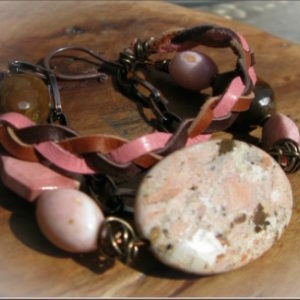 This luscious butterscotch and terra cotta necklace has an amber and Tibetan silver focal. 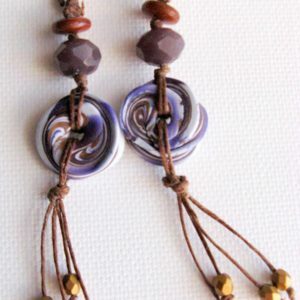 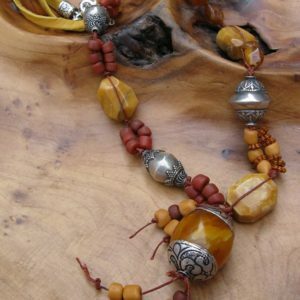 Handknotted with a mix of gorgeous butterscotch beads with Tibetan silver. 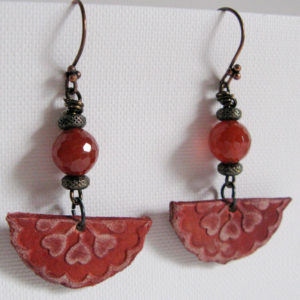 Finished off with ultra sofa butterscotch deerskin lace and silver chain. 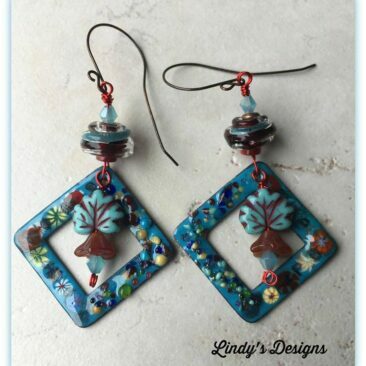 Each purchase will come gift boxed for gift giving or for your personal storage. 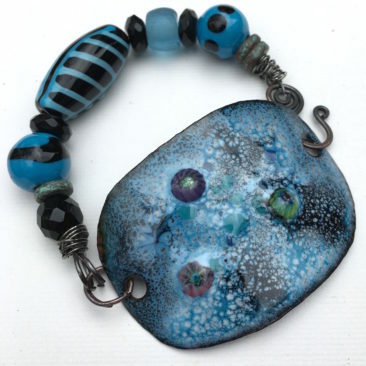 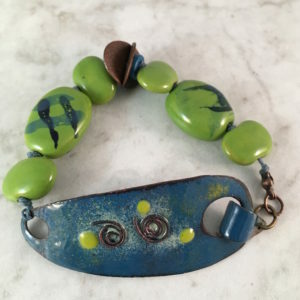 This bracelet features a lime green and peacock blue enamel focal. 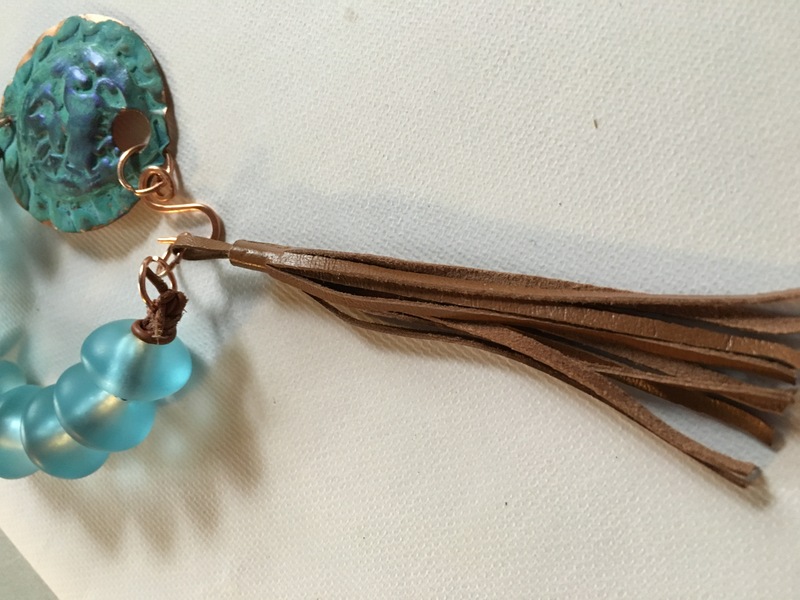 It is hand knotted using a complimentary blue wax linen and is accented by organic Kazuri ceramic beads and Greek spacers. 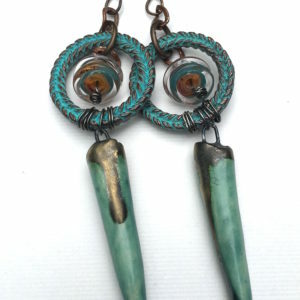 The closure is a handmade enamel hook type closure. 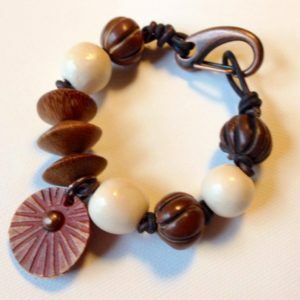 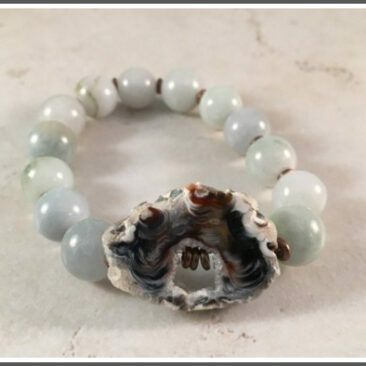 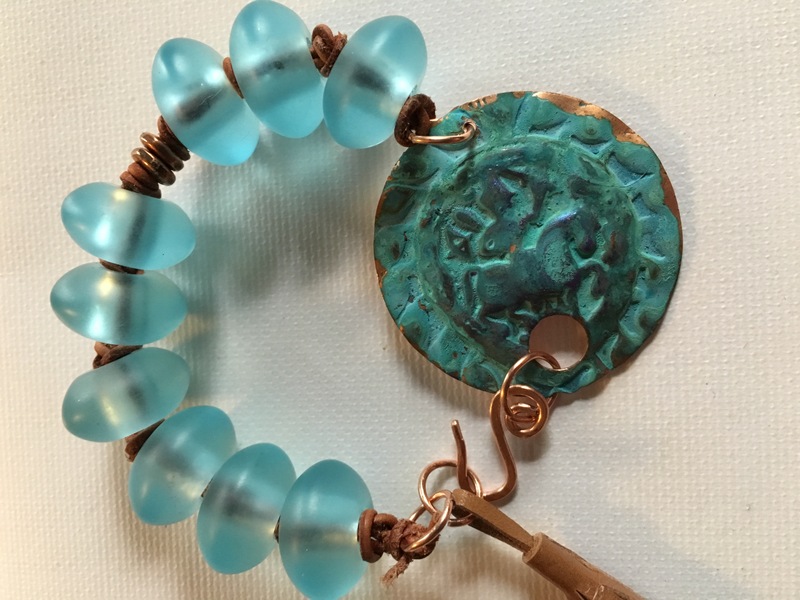 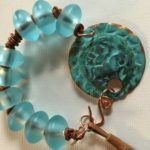 Measurements: Bracelet sized to fit a 7 – 7 1/4″ wrist.